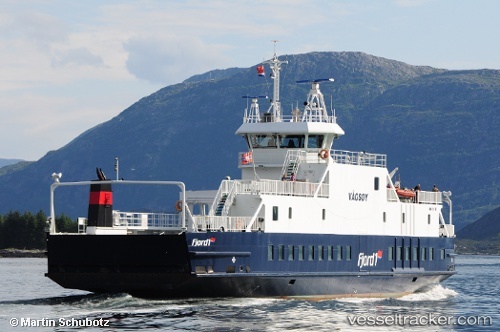 The ferry service between Måløy and Oldeide suffered trouble on July 19, and July 20 2015, as the "Vågsøy" repeatedly encountered technical problems and was out of service for several hours on both days. On July 20 the ferry service was suspended from 12.30 p.m. until 7.20 p.m. In the afternoon the electrical fault was discovered and rectified by an electrician so that the ship was running again on schedule on July 21. The ferry service Oldeide-Måløy was temporarily suspended on Apr 2, 2012, due to technical problems with the ferry "Vågsøy," which has now been taken out of normal operation. As of at 10.15 a.m. a passenger boat was inserted from Maloy which was not suited for vehicles. The hope was to have a ferry service again in the afternoon.